Since we last updated the odds to win the first semi-final at Eurovision 2012, Russia’s Buranovskiye Babushki have moved past Denmark’s Soluna Samay with the bookies. The sextet of singing grannies have average odds of 3.5 across nine of Britain’s leading betting agencies. Soluna, who has led the betting odds since they were first released, also has average odds of 3.5. But more betting agencies have ranked Russia higher, thereby breaking the tie. Ireland’s Jedward have slipped from fourth position—with odds of 59/10 in March—to sixth place this week, with odds of 15/1. Iceland’s Gréta Salóme & Jónsi (“Remember me”) continue their impressive climb. They’ve moved from sixth position to fourth. The list of countries most likely to advance to the final remains largely the same, with Russia, Denmark, Greece, Iceland, Romania, Ireland, Cyprus, Moldova and Finland still in the Top 10. However, Hungary’s Compact Disco—who recently released several re-mixes of their song “Sound of Our Hearts”—have replaced Austria’s hip-hop group Trackshittaz in the Top 10. 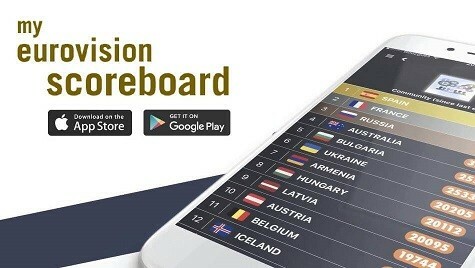 Hungary has jumped from 12th to ninth, while Austria has fallen from 10th to 13th. That fall comes despite releasing a video of them playing on a tractor. You can see the full set of odds below. Eurovision Death Match: Which Set of Brothers at ESC 2012 Are Your Favorite? Go Grannies! A clever, fun, novel song. It wont win – but it will do well. Russia don’t deserve to be in final ,it’s a crap song !! I have nothing with the grannies, but Russians needed Simon Cowell in their jury to stop sending this to Eurovision! While I hope they don’t make the final, they probably will. But I don’t trust the bookies judgement for the actual order. They many times don’t get it right.